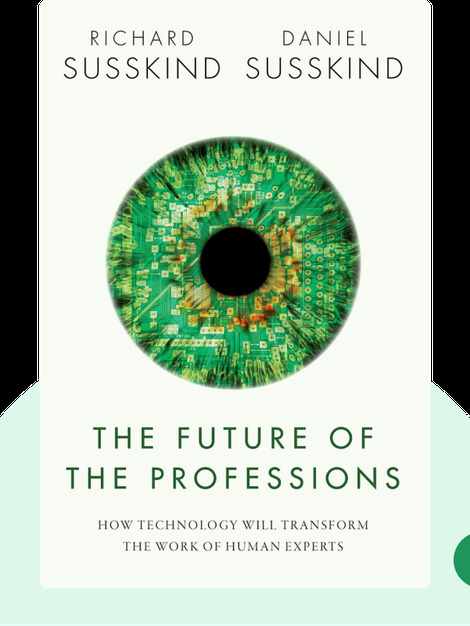 The Future of the Professions (2015) examines how modern technology and the internet have revolutionized our society. These blinks in particular address how technology has changed the way society views the work of experts, the so-called professionals. 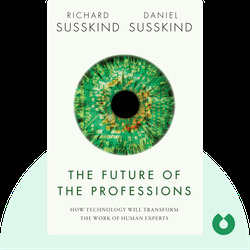 The role of such experts is evolving quickly; here you’ll discover just what the future of professions will look like. Richard Susskind holds a chair on the Advisory Board of the Oxford Internet Institute and is the president of the Society for Computers and Law. An international speaker and expert advisor on information technology and the law, he is also the author of The End of Lawyers? Rethinking the Nature of Legal Services. Daniel Susskind is Richard Susskind’s son and a lecturer in Economics at Oxford University. He has worked for the British Government, in the Prime Minister’s Strategy Unit and as Senior Policy Advisor at the Cabinet Office.